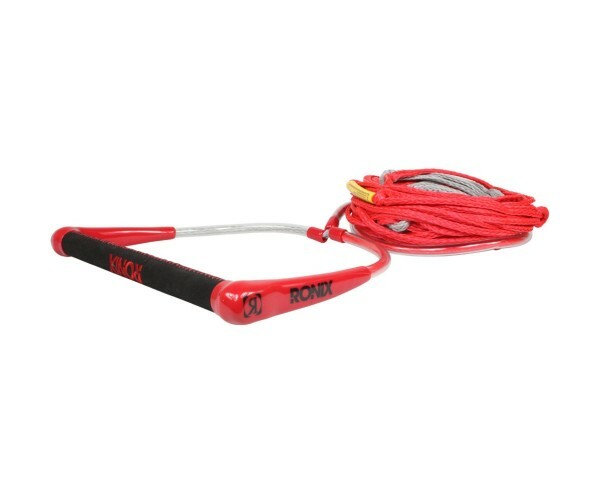 The Ronix Combo 2.0 is a great wakeboard rope and handle for those just starting to ride or introducing others to the sport of wakeboarding. The Ronix Combo 2.0 features a 1.15” diameter handle that has a hide grip for tacky grip and 3mm thick EVA end caps. The mainline is a 60ft. low stretch PE rope that includes four separate sections that to adjust the length of the rope for riders. This is extremely helpful for beginner/intermediate wakeboarders as they start to jump and clear the wake. To keep it simple, the shorter the rope length, the rider is closer to the boat and the wake is narrower. This makes it easier to learn jumping the wake and clearing both sides. 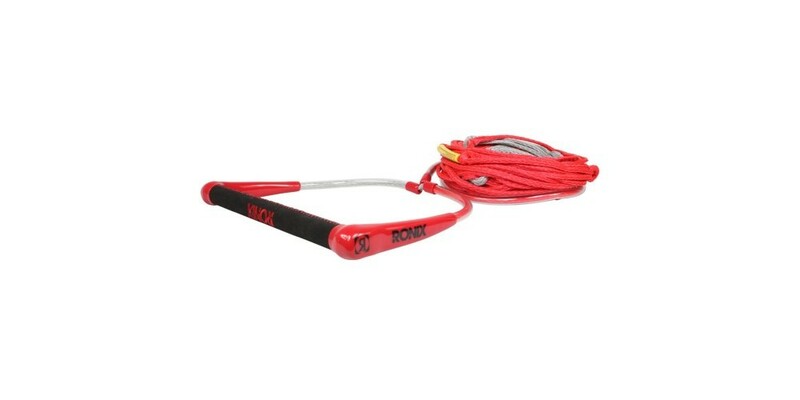 An added bonus, the wakeboard rope has several 7” pencil floats to provide flotation so that the rope sits on top of the water when picking up the rider.